Copied Harry Styles Drawing. This one was copied too.... Look at the signature. 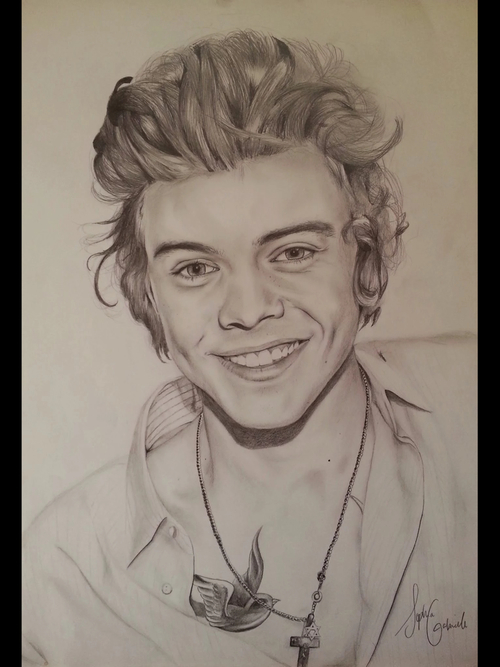 styles drawing?context_user=samanthaaa_roseee. Wallpaper and background images in the fanpop's got talent club tagged: photo. This fanpop's got talent photo might contain 肖像画, ヘッドショット, クローズアップ, ポートレート, ヘッド ショット, and クローズ アップ.